This post is in collaboration with and sponsored by Pantene. All thoughts and opinions are my own. 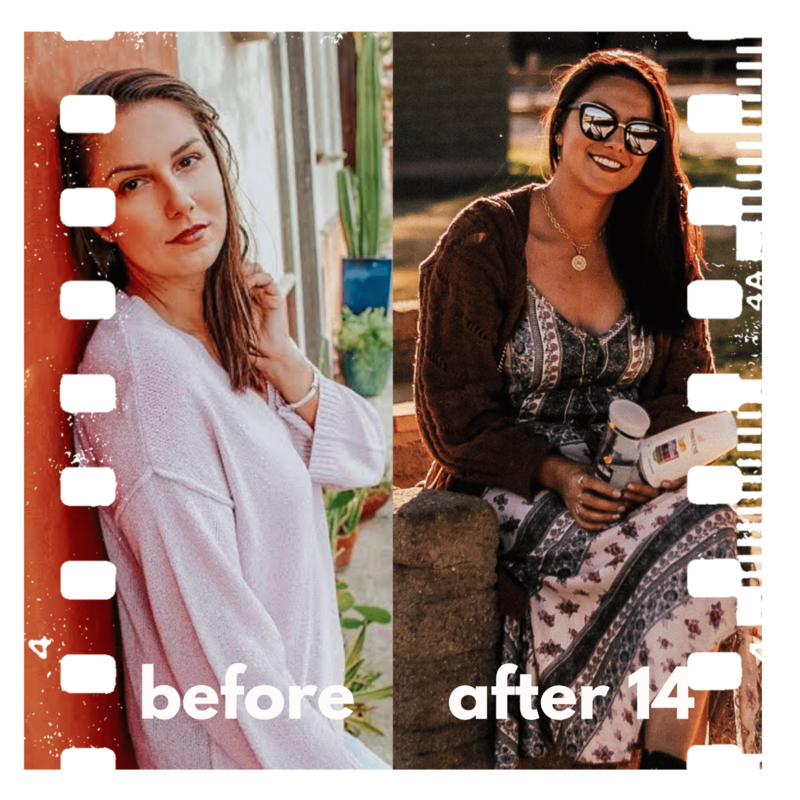 If you’re part of the Instagram fam, then you know I decided to take the Pantene 14 Day Challenge. This challenge required me to use a shampoo and conditioner combination for 14 days straight, and the goal was to see the difference in my hair over the time frame. When I was deciding which duo to use, I broke down the issues I have with my hair. Typically, my hair is straight as an arrow and comes down flat. Some people may not see an issue with it, since people spend a lot of time straightening their hair on the regular. However, my hair is so straight, it completely loses the texture and volume after just a few hours. This is why I decided to use the Sheer Volume Shampoo and Conditioner. After day 1, my hair already felt a bit lighter. It was easier to style my hair and get it to have a bit more flair. It wasn’t a huge difference, but it helped for an hour to keep my hair looking more texturized which was a nice change. Now after day 7, the volume started to last in my hair through the early afternoon. Rather than falling completely flat right after the wash, my hair was looking voluminous and more texturized for hours. It was a significant improvement. Not to mention, it looked so much healthier, shinier, less greasy and overall had more bounce. Therefore, I knew this shampoo and conditioner combo was going to be great even beyond this 14-day challenge because the benefits are more than just volume and texture. Day 14 was the day when I realized this was definitely the dynamic duo for me. The weigh down in my hair that was keeping it flat, was gone. Without that weigh down, my hair was flowy and filled with texture. Not to mention the color was even more vibrant than before, even though it had been a few weeks since I’d colored my hair. The health improved significantly in just two weeks, which was tremendous for me given I didn’t do anything additional on top of this duo. Have you given your hair an honest break from the usual hair care and let it detox? I recommend trying something different for at least 2 weeks. Take the Pantene 14 Day Challenge and see the wonders it does for your hair! 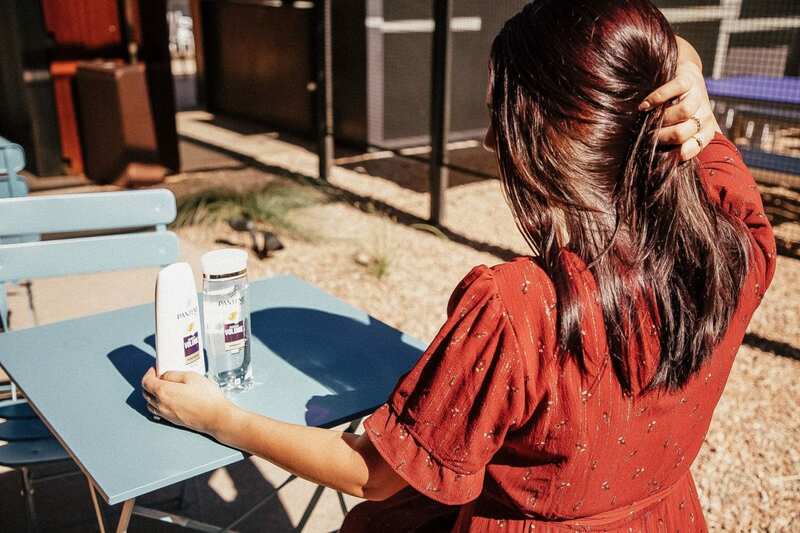 Sometimes our hair gets into a groove and we’re not really solving our hair’s problems by using the same products for months. Since I wasn’t using anything for volume or texture, I didn’t get those results. The best part is that I went from having a LOT of bad hair days, to having great hair days with little to no product needed. The easier it is to have a great hair day, the better, because I am always on the go. In terms of my results, my hair was more voluminous, exuded more texture and was significantly healthier after 14 days. I can definitely vouch for the Sheer Volume Shampoo and Conditioner in this challenge. Not to mention the Sheer Volume dry shampoo definitely kept my hair looking nice and clean if I skipped a day or two of washing. What’s your favorite shampoo and conditioner duo?